It's actually not even close. While we could debate which colleges within the United States are the 'best,' that's not the goal of this post. In fact, depending on how you scrutinize the data, you could make that argument for about a dozen higher-level institutions. Our goal with this data is a lot more fun. We wanted to know which college towns are the best. You know, the type of places where there's energy and stimulation, but the type of place you can walk around at night. Where sports fans thrive, but where kids actually graduate. The happiest, chillest, most downright fun places where you can send your kids off to college where you won't break the bank, or worry about their well being. While some of these may not seem like a 'real' college town per se (hello, Seattle), when you look at the numbers, it's hard to argue against. And for those who live in Morgantown, Laramie and Iowa City - we tip our hats to you. There's nothing else to do within a three-hour drive from your college town, so at least you have this! Finally, if you live in Bakersfield, CA - it's officially the worst college town in America. Sorry, Bako! 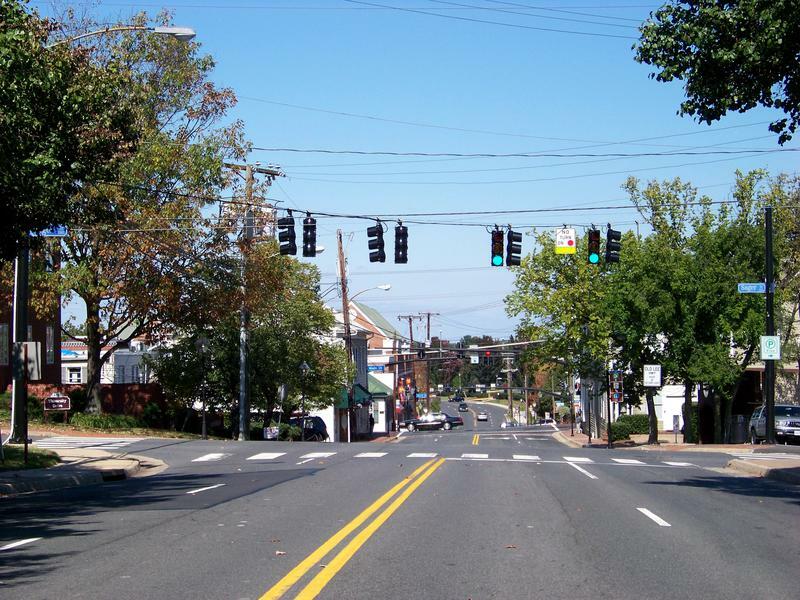 How'd we figure out the best college towns in America? To crunch our data on America's best college towns, we had to first decide which qualities (or rankings) make sense to use in the data, and then crunch the numbers for our rankings. Now, we had to make some assumptions here, so bear with us as we explain the methodology, and ultimately, how we came up with our rankings. First off, we firmly decided that only cities with a Division 1 basketball program should make the cut. That's because a college town just isn't the same without a strong sports vibe. You might be surprised to hear that there are more than 300 Division 1 basketball programs in America, so we didn't leave out very many cities. We also decided the basketball team had to be good, and that it had to be well supported. Because how good could a college town be with crummy sports teams that no one watches, right? And, finally, if a city had more than one Division 1 basketball program, we combined both (or all of) their sports categories into one average score. Phew! 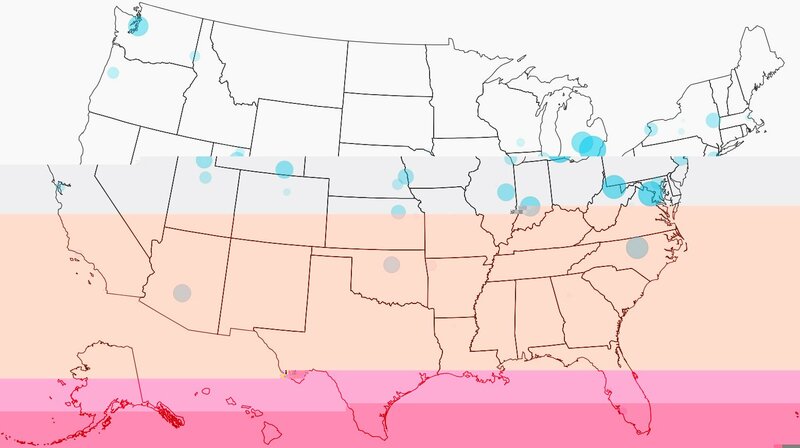 We ranked each city across each of the criteria, with one being the best. 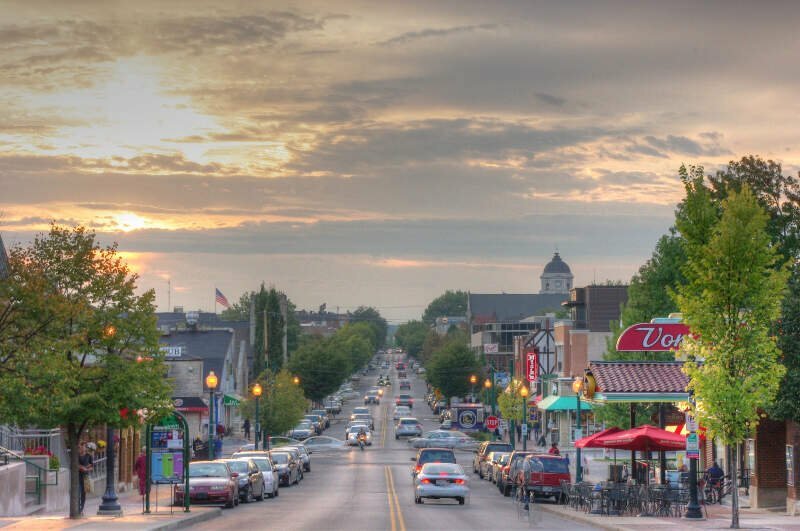 We then took the average rank across each category, with the city posting the lowest overall score being crowned the winner of the title "Best College Town In America". If you live in Michigan, there's a choice. Michigan or Michigan State. While these two teams will continue to battle one another on the court or the field for a long time down the road, when it comes to bragging rights off the court, Michigan earned it, big time. The Michigan men's basketball team is one of the best teams in the nation, as you very well know. A good basketball team has a way of making an entire community a better place. But it's not just the sporting tradition that makes Ann Arbor shine. It's the 15th safest college town in America we measured, and Ann Arbor is in the top 5% when it comes to entertainment options per capita, too. Nice job, Maize and Blue. Would you have thought that the home of George Mason University, Columbia College and VIU would be the second best college town in America? Us either? And by the way, VIU stands for Virginia International University. Fairfax has it goin on when it comes to the actual university grade: the cost to attend, graduation rate, and quality of the universities in Fairfax. Plus, there are more museums per capita in Fairfax than any other college town in America, and plenty of bars, too. Fairfax ranks 4th in the country for our 'entertainment score'. So, while the sports teams struggle, the quality of life on and around campus more than makes up for it. If you've ever been to Morgantown, you already know it - this place is an island in the middle of nowhere. Perhaps that's why there's so much jam packed in such a small area. When it comes to quality of basketball and the attendance for games, UWV students have it made; the university ranks 8th in the nation for our sports score. 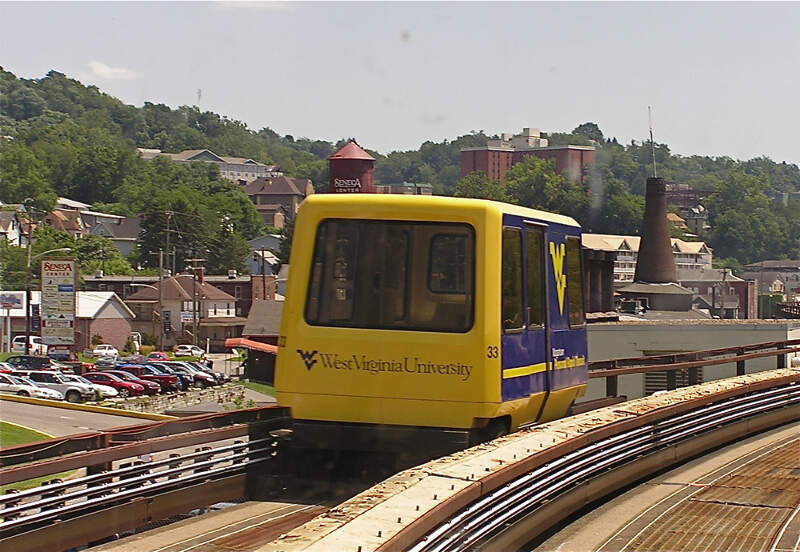 Other factors: An entertainment score that puts Morgantown in the top 15%. Factors that bring Morgantown down - a lack of diversity, and a higher than average unemployment rate. But hey - it's cheap to live here! Having spent nearly four years living in Chapel Hill, the author of this post can attest to the quality of life in Chapel Hill. Not only is the basketball team the best in the nation (and very well supported), the quality of life on and around campus is amazing. Franklin Street has bars on top of bars (literally), and plenty of places to eat and mingle. It's not a very diverse place, nor is it very affordable. 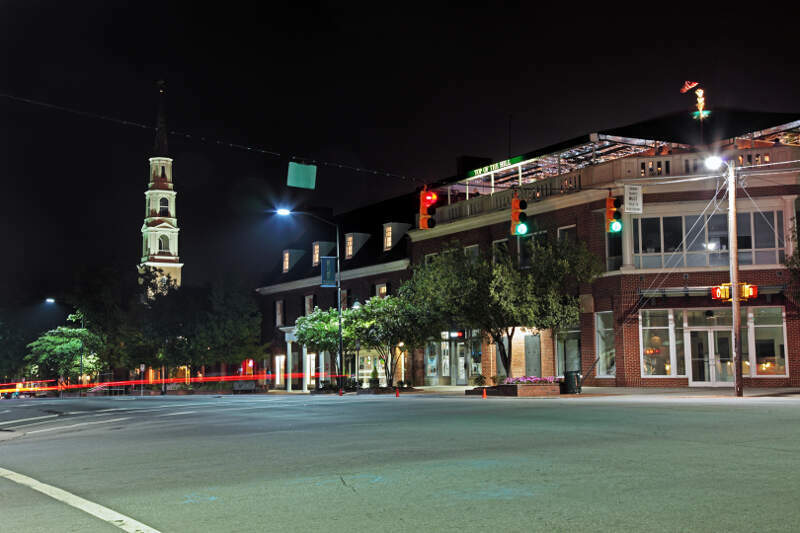 But in terms of charm, safety and lovability, Chapel Hill is pretty much the best college town you could call home. 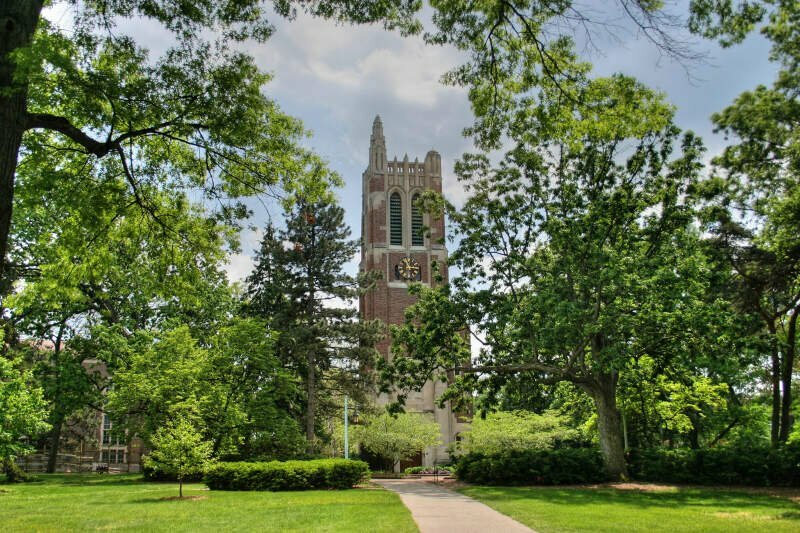 Michigan State ranks 8th in the country for graduation rate, and has a really low unemployment rate too, meaning lots of students stick around once they graduate. East Lansing is also the 10th safest college town in America, too. The downside? MSU is far above average when it comes to tuition cost. Does that make a college town less 'awesome?' Maybe just a teeny bit. People in Wyoming are probably eyes wide open at this one. Sure, Laramie, like Morgantown, is an island among some of the most isolated (and boring) regions in the country. Which is why is likely ranks in the top 20% in the country for 'things to do' per capita. 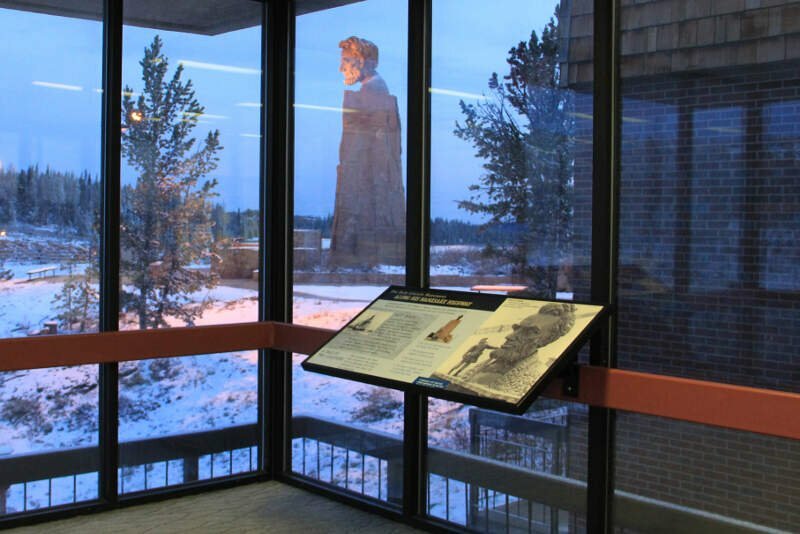 But what really sets Laramie apart is the 'city characteristics' category, where it's 4th in America. It's relatively affordable, there are plenty of jobs (for residents), and crime is the 5th lowest in America. It's not a very diverse place, and the basketball team is average (but the games are very well attended). Frankly, there are FAR worse college towns within 1,000 miles of Laramie where you could spent 4 years, that's for sure. There's two main reasons why Bloomington makes the top ten. Basketball and beer. Game days are a huge deal in these parts, and practically everyone in town is at the game or has the game on. Now, when it comes to drinking, Bloomington is a real party town, too. There are only 10 other college towns in America with more kegs per student than right here in south central Indiana. It's a relatively expensive degree, but just about everyone graduates. 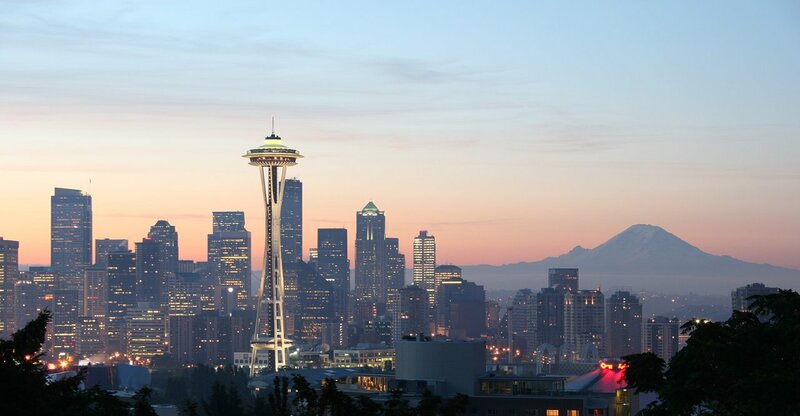 Did you really ever think of Seattle as a college town? Did you know that the University of Washington, Seattle University, Seattle Central College, Seattle Pacific and a number of other smaller colleges make their home here? While PAC-10 basketball certainly has a lot of room to improve, the sports teams are pretty well supported. It's a diverse place with plenty of jobs and the 5th-most bars per capita in America. Nothing like game day in Iowa City. Especially on the football field (which we didn't measure). Basketball is HUGE in Iowa, and the quality on the court and attendance numbers prove it. 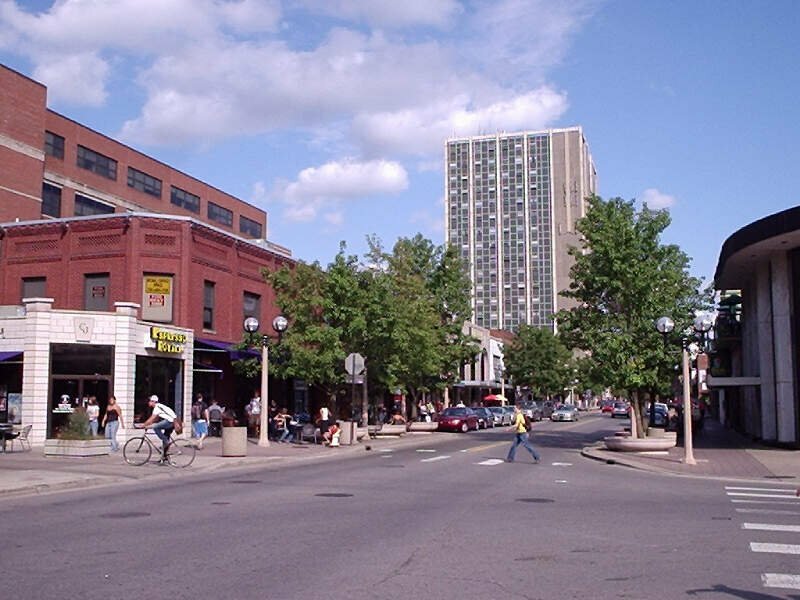 Did you know Iowa City has the 6th lowest unemployment rate of all college towns (4.4%)? Did you know it is the 20th safest place and that 70% of students graduate? 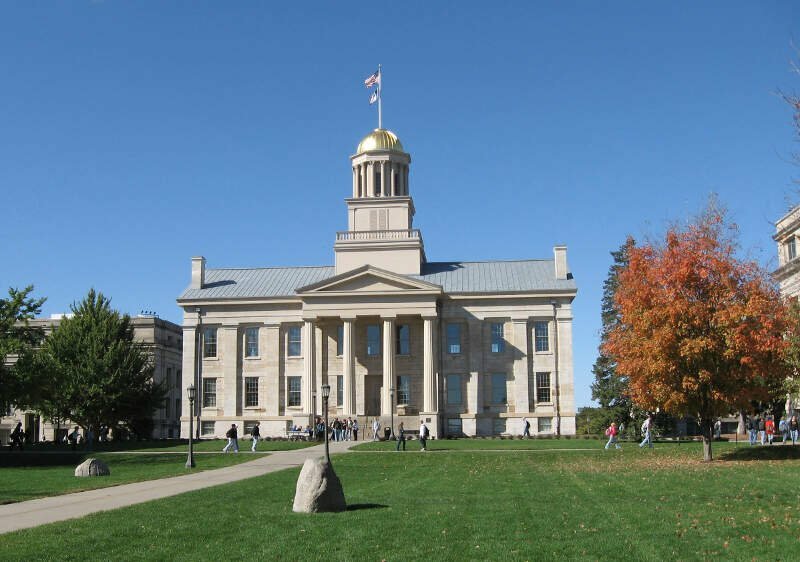 If you knew all of that, you probably live in Iowa, and likely were already very well versed on how great Iowa City is as a college town. In case you didn't know it, Arizona State is a party school. The sports teams have improved lately, as has the student body support. Tempe is in the top 15% when you look at entertainment, in the top 20% for quality of campus life, and is relatively affordable, too. It's actually a really cool place when it's not 110' degrees. Plus, the students have plenty of places to get wasted (as do the locals) when they aren't at Lake Havasu or Mexico. If you're looking for the best college towns in America, you came to the right place. These places all have great college sports programs, tons of stuff to do, and are great places to raise a family.